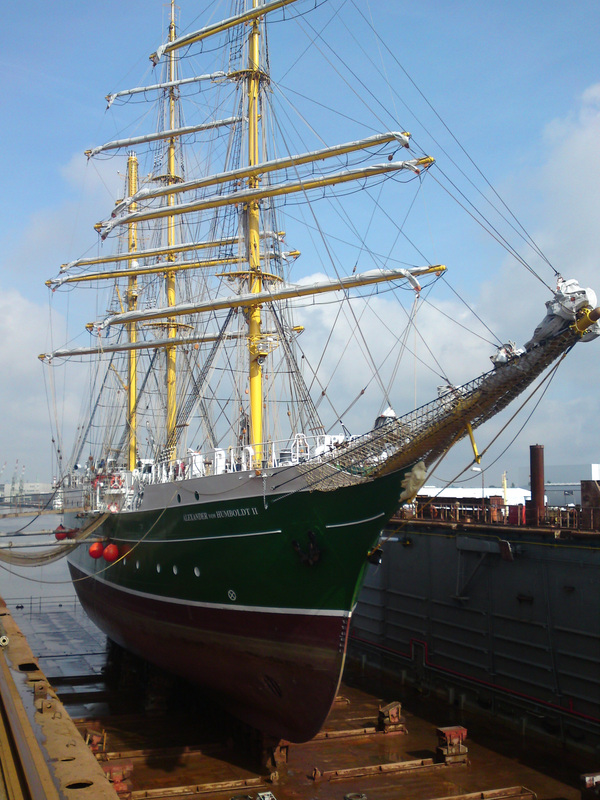 A vessel to replace the original “Green Ship”; Alexander von Humbolt II was completed in 2011. 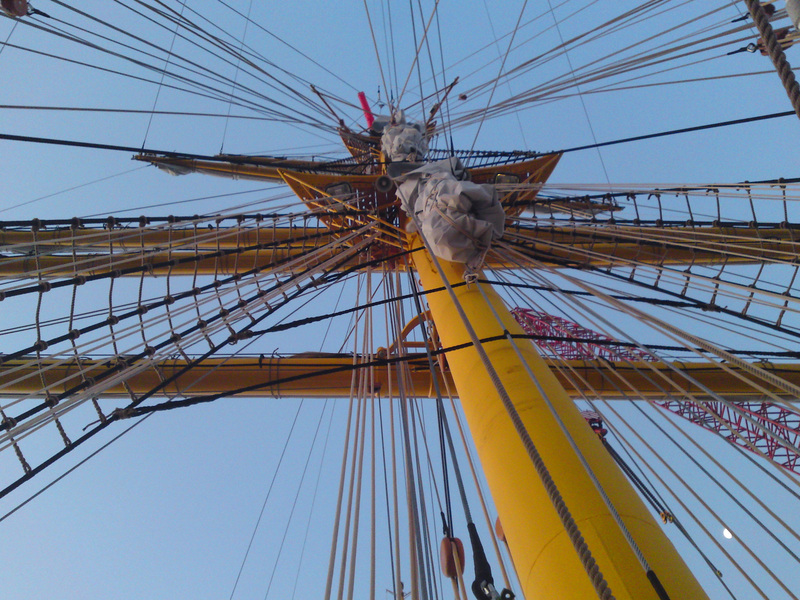 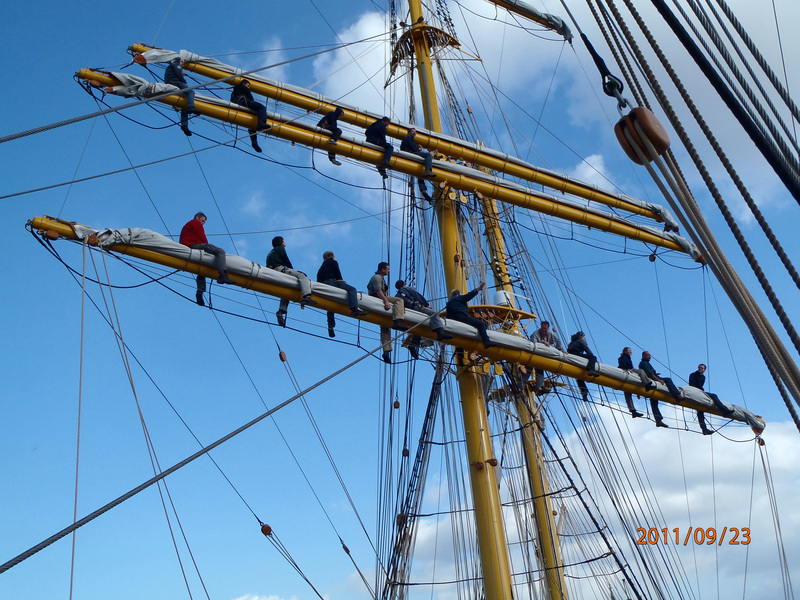 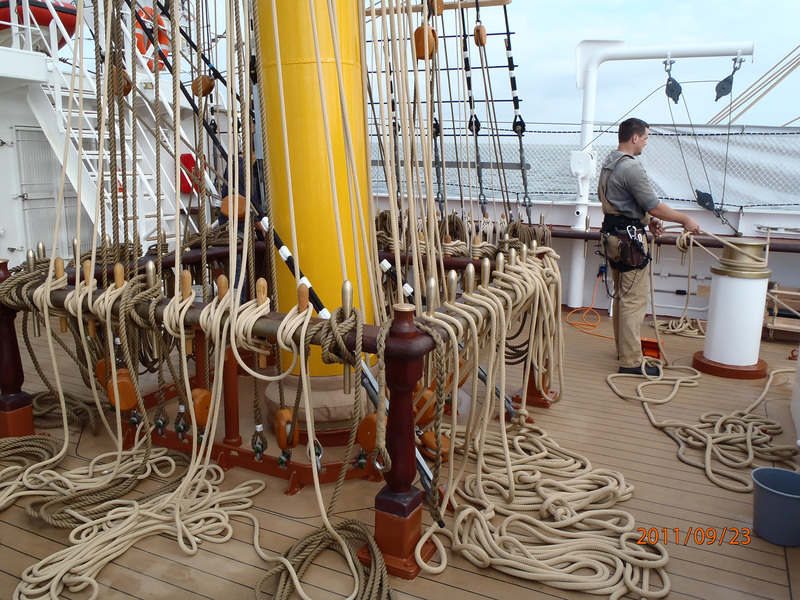 Though keeping the sprirt of the predecessor, Alex II has many modifications to her rigging, to ensure the most modern standards of safety are kept. 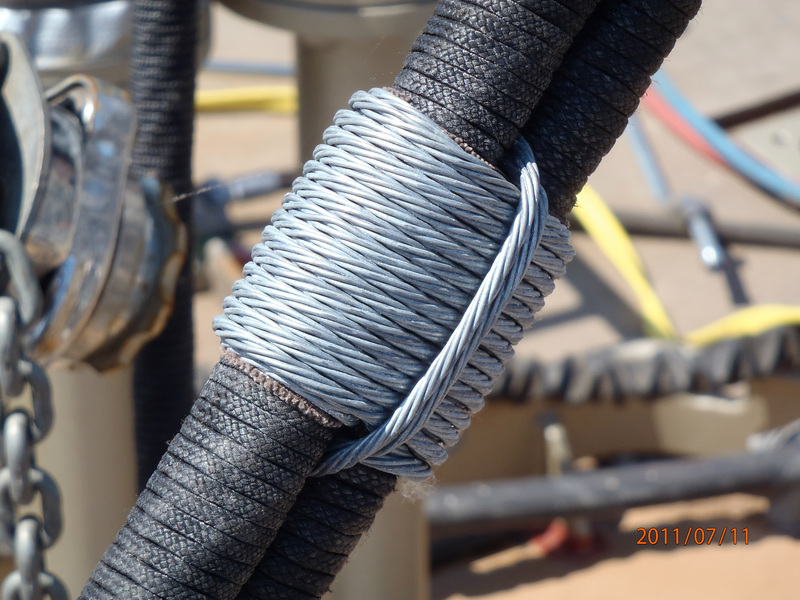 Traditional wire seizings were used for wire rope terminations, and a combination of laid and braided line was run. 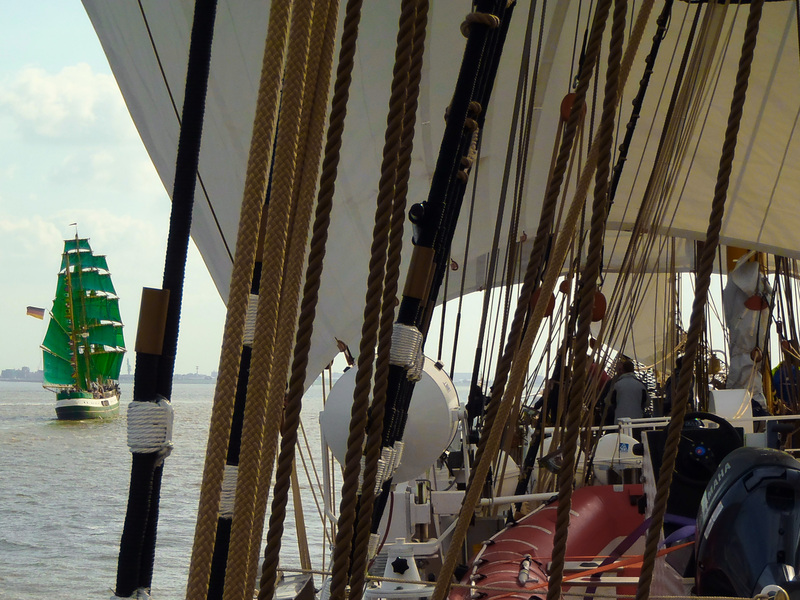 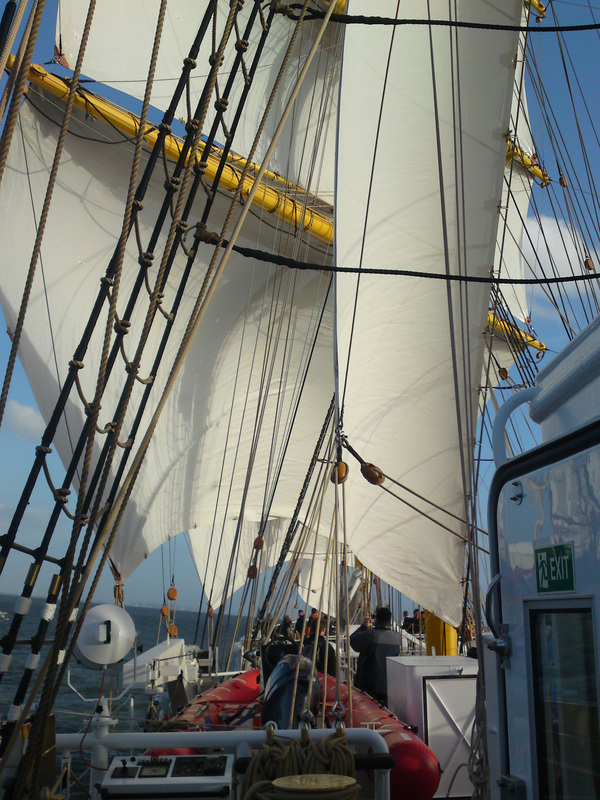 Although her original suit of sails was of white, she currently has a green suit bent on.